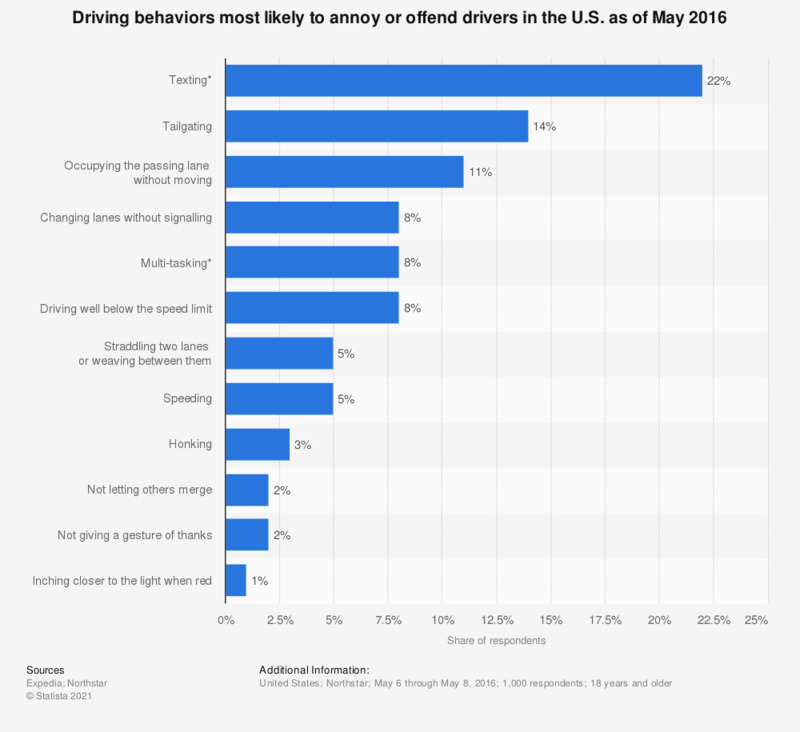 This graph displays the results of a survey conducted in 2016 regarding the driving behaviors most likely to annoy or offend drivers in the United States. According to the source, some 22 percent of those surveyed responded that they found drivers who text, email and/or talk on a phone while driving to be the most annoying. * Texting includes writing emails or talking on a phone; multi-tasking includes applying makeup, eating, reading, etc. Thinking about people you know who drive, how many of them do you think use their mobile phones whilst driving? Which country has the most responsible drivers? To what extent would you agree or disagree that the following phone use behaviours are dangerous? Before driving for a long journey, do you ever do the following things? Do you frequently, sometimes, rarely or never commit the following incivilities when driving your vehicle?